A job listing from the studio makes a joke about an embarrassing bug. Removing an extra letter in a .ini file makes the enemies behave closer to the way they should have all along. For $30, players will get access to four post-launch add-ons. New trailer for the soon-to-be-released title shows what happens when the s--- hits the fan. Nobody at Gearbox played any Left 4 Dead, no sir. The clip features a montage of firepower and splattered xenomorphs, narrated by a morale-raising speech. The only thing missing from this video is a flamethrower burning away all of the horror. canonical entry into the Alien series. Aliens: Colonial Marines's latest trailer gives you a glimpse into Hadley's Hope, where things are pretty bleak. 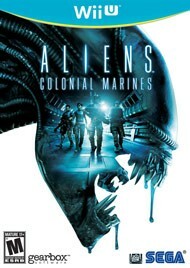 Aliens: Colonial Marines has an appropriately themed multiplayer mode, which Sega has revealed through a new trailer. It's not much, but there is a Xenomorph and a couple of marines, so technically it showcases everything implied by the game's title.